A moto jacket is crucial to any spring wardrobe. But if you’re anything like us, chances are you’ve had your iteration for a few seasons. Meaning it could use a refresh. Rather than dumping it for a new one (unless you're in the market for one, of course), why not just rethink the way you’re styling it? While it seems easy to just toss it over your go-to jeans-and-tee look on the weekend or blouse-and-trousers combo for work, there are other unexpected ways to make your jacket feel new again. Keep scrolling for styling (and shopping!) tips to reinvent your moto once and for all. Tip 1: Try a coloured iteration to add extra dimension to your going-out look. A coloured leather jacket feels different and unique in a sea of black styles. If your going-out look consists of on-trend pieces like a fringed skirt and sneakers, a coloured iteration will add just that extra touch of dimension to get you noticed at the bar. Tip 2: Toss over your shoulders to edge up a femme dress. Want to edge up the spring dress you're wearing all season? Simply drape over a biker jacket and you'll look instantly cooler. Trust us. Tip 3: Use it as an impromptu blazer for work. Looking for an updated work look to stand out from your cohorts? Toss a moto jacket over your classic office ensemble to act as an impromptu blazer. And don't worry about looking too casual. 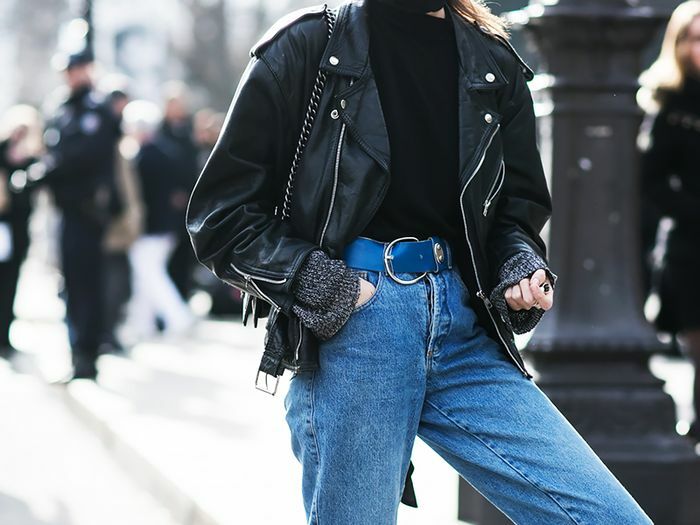 If the rest of your outfit is sophisticated (think a blouse and a pencil skirt), the tough biker silhouette will take on a sleek vibe. What do you think of these styling tips? Will you test out any this spring? Let us know in the comment section below!